Beautiful fresh cut or silk flower arrangements, custom made by our floral designers, are available in the Flower Shop. These items are a perfect way to brighten any space and make great gifts for any occasion. Gifts for all ages are available for pick up or delivery. Ask our designers to add a special touch to your order that will fit you or your recipients personality. 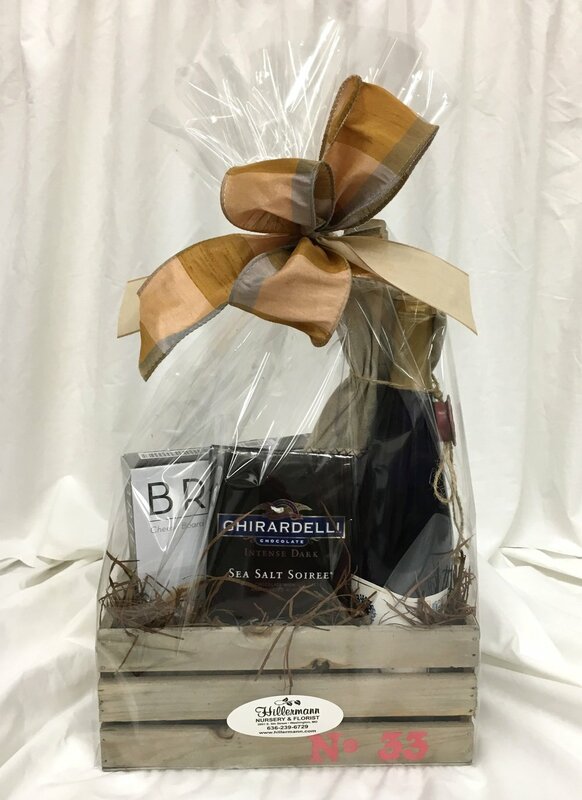 Many items including local wines, gardening items, décor, statuettes and more are availableto add to an arrangement or gift basket. We can help you with great ideas to make your gift unique. Creative silk arrangements add design and appeal to your home décor. Custom designs can create the perfect look to correspond with your decorating. We will be happy to custom make your silk arrangements and help you choose permanent botanicals that will enhance your home. 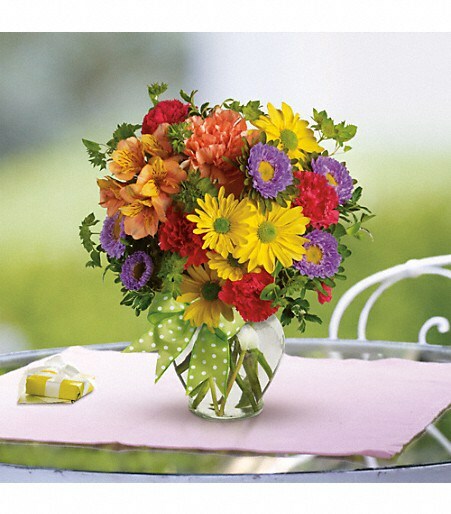 We are here for you in your time of sorrow and mourning to create beautiful memorial flowers for your loved one. We can help you express your sympathy to your friends and relatives. We add a special touch to make each piece unique and special for your missed loved ones. 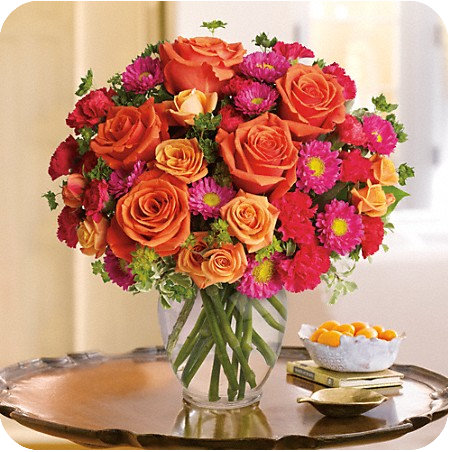 Click here for Hillermann’s Floral Website. Our full service wedding designers create custom designs to make your day special and unique. We have fresh or silk flowers to create your dream bouquets. At Hillermanns we have all the new and up to date styles and trends. If you are interested in a nosegay, hand tied, cascade, or even a tropical bouquet, we can create any bouquet to fit your dreams. We are here to customize and give you ideas for your special day and make it one to remember forever. Also, ask our designers about rental plants to create a memorable service and reception. We also offer a full service delivery with setup or just delivery service. Click here for wedding flower ideas. We offer Linen Rental to complete the decor of your wedding or event. Round, square and rectangle table cloths are available in several shapes and colors. Table runners, and table and bar skirting also available. Call our Flower Shop at 636-239-6729 for more information. My daughter’s wedding was simply perfect. From the moment she met with Erin, she knew that she understood the look and feel she was trying to create. She cancelled all other appointments. She was over the moon excited about their vision. The day of the wedding came! Your team walked in with the bouquets and the tears came instantly. They were stunning and everything she had hoped for. As the venue décor came together, I saw the room transform into a classy and very personal event. Again, it was stunning and everything she had hoped for. It was more than she had hoped for. This truly was the most important aspect of the wedding for Natalie. You delivered. You delivered strong! I can’t thank you all enough for the attention to every detail, the abundance of florals throughout the entire venue and the expertise of your team. Hillermann’ s is a class act and I am forever grateful my baby girl got the wedding of her dreams.